Neptune is the smallest of the gas giants and the eighth planet from the Sun. It is the fourth largest planet in the solar system, with a diameter of 49 532 km. 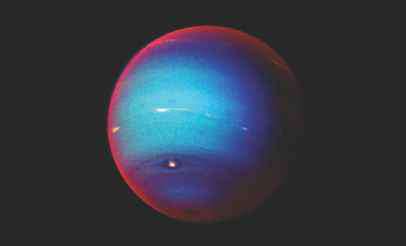 Neptune is smaller in diameter than Uranus but it has more mass than Uranus. Although four times the diameter of Earth, Neptune has only 17 times the mass of Earth because it is less dense than Earth. Neptune is about 4.5 billion kilometres from the Sun, making it about 1.5 times more distant than Uranus. It takes over 165 Earth years to orbit the Sun once, and it rotates on its axis once every 16.1 hours. Because of its great distance from the Sun, Neptune receives only 0.1 per cent of the sunlight that Earth receives, and the planet's surface is very cold. 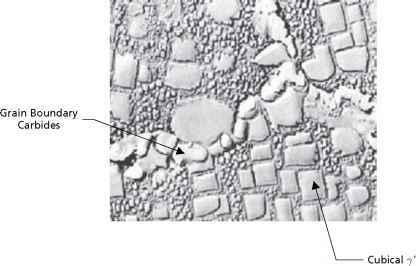 The planet cannot be seen with the unaided eye from Earth. Neptune can be seen with good binoculars from Earth, but a large telescope is needed to see the tiny disc. It then appears as a tiny featureless disc that is barely distinguishable from a star. Most of our information about Neptune came from the Voyager 2 space probe that passed by Neptune in 1989. Voyager found Neptune to have a deep blue colour with an outer layer covered with whitish clouds.